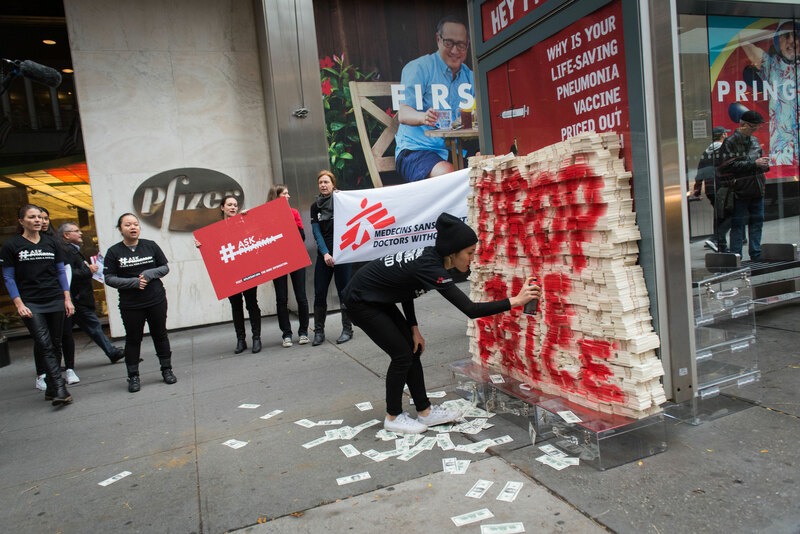 New York, 27 April 2017 – Today, the international medical humanitarian organisation Médecins Sans Frontières/Doctors Without Borders (MSF) is bringing individual investors’ voices to Pfizer’s annual general meeting in New Jersey to hold the pharmaceutical corporation accountable and demand it lowers the price of the pneumonia vaccine for all children in all developing countries. One week ago, MSF launched Your Stock Your Voice, a groundbreaking online tool that empowers people who may hold stock in Pfizer through their investments, including retirement funds, to demand change that could save lives. Through this platform, people can find out whether a given investment package includes shares of Pfizer, and if so, provides options for people to take action. In just a few days, hundreds of people and investors have shared messages on social media to ask the company to reduce the price of the vaccine to US$5 per child (for all three doses) in all developing countries. Pneumonia is the leading cause of child mortality worldwide, killing nearly one million children every year. Pfizer and GlaxoSmithKline (GSK) are the only two manufacturers of the pneumonia vaccine, and have priced the vaccine out of reach for many developing countries. One third of the world’s countries have not been able to introduce the vaccine, largely due to its high price. In 2015, all 193 countries at the World Health Assembly passed a landmark resolution demanding more affordable vaccines and increased transparency around vaccine prices. MSF has tried to negotiate a lower price with Pfizer for years. 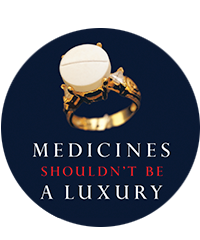 After years of fruitless negotiations with both Pfizer and GSK for an affordable price, in 2015, MSF launched A Fair Shot, a public campaign calling on both pharmaceutical corporations to reduce the price of the pneumonia vaccine. Through the Fair Shot campaign, more than half a million people around the world mobilized to call on Pfizer and GSK to reduce the price of the pneumonia vaccine. In November 2016, following on a similar announcement made by GSK, Pfizer finally agreed to reduce the price for humanitarian organizations working in emergencies, such as MSF, to just over $9 per child (for all three doses). MSF and Pfizer are still negotiating a supply agreement that fulfills Pfizer’s public commitment. MSF hopes that Pfizer will limit the number of conditions it is attempting to insert in the agreement so that MSF can have adequate supply of the pneumonia vaccine and the ability to protect as many children as possible under the agreement. At the lowest global prices, which aren’t accessible to most countries, it is now 68 times more expensive to vaccinate a child than in 2001, according to a 2015 MSF report, The Right Shot: Bringing down Barriers to Affordable and Adapted Vaccines. The pneumonia vaccine accounts for almost half the price of the entire vaccination package for a child in the poorest countries. In 2016, MSF delivered the names of more than 416,000 people from 170 countries who signed a petition asking Pfizer and GSK to reduce the price of the pneumonia vaccine to $5 per child (for all three doses) for crisis-affected populations and for all developing countries. In September, GSK announced that it was finally reducing the price of its pneumonia vaccine for humanitarian situations. In November, Pfizer followed GSK’s move.